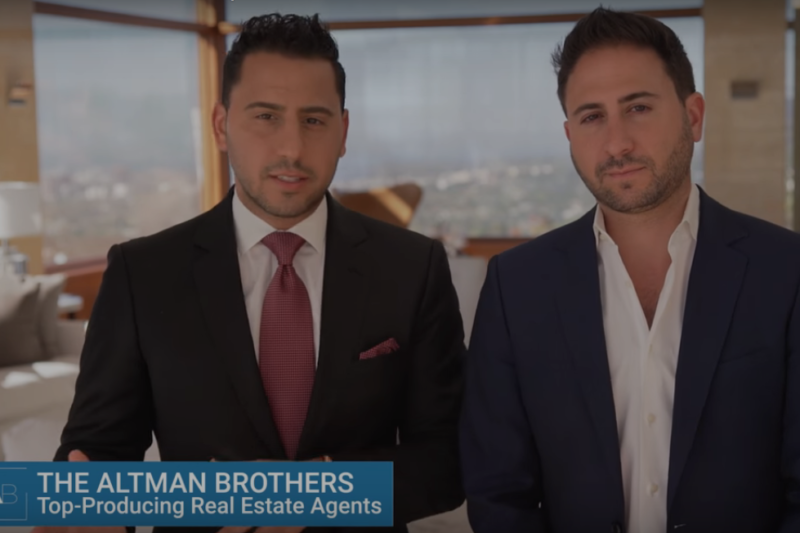 Video Transcript: “We needed the next latest and greatest tool to separate us from all the thousands of other realtors out there. When we saw this Matterport camera. We flipped out the fact that we're able to present our clients with something fresh and exciting usually gives us a huge advantage. We found it's an incredibly easy process to learn. Yeah I mean look if Mac and do it anyone can do it. You know I get a question all the time is petty break into the high end market. Well you got to have tools like matterport in order to separate yourself and go after those mega listings because when you're going after those clientele you got to appeal to people globally. And what better way to be global than to have people to be able to walk through your house in other countries. And the technology allows somebody who's a couple states away or a couple of countries away to feel like they're actually walking through the House and therefore leads to an easier decision to make an offer on the property which is what our goal is. We have a potential buyer or seller that looks us up and looks other people up. On our website they see Matterport and they see the videos that we do. And on the other website the other agents they don't see that they're going to call us first. It's pretty simple if you're gonna meet with two different agents and they talk about exactly the same thing. You have a very hard decision. But if you meet with those same two agents and one of them has this incredible technology that offers all of these advantages and the other one doesn't. Clear Choice you're going with the one that has Matterport. I recommend matterport for every agent out there especially the ones that are looking to step their real estate game up to that next level. When we go into a listing meeting we often keep matter for the end because we're all about closing the deal showing them such an advanced technology blows everybody away. It's our closer. "It's 2019 and some agents today still aren't hiring professional photographers to take their real estate images. You really should be making sure the photographs that accompany your listings are the best they possibly can be. And why? Well, here's Peter Lorimer from PSG Estates in Beverly Hills, CA, giving you his opinion on why professional real estate photography is an absolute must. Video Transcript: “Greetings! Pete Lorimer here at PSG estates in Beverly Hills and the magic minute for today is a very specific subject. I'm just going to talk about photographs! So photography and real estate go hand-in-hand naturally - it's a perfect fit. Now, there are a lot of agents out there who do not hire professional photographers. They kind of do these snaps on an iPhone, and kind of stick it in the MLS and hope for the best. I want to tell you my thoughts on why you absolutely must use a professional photographer. Let's start 10 years ago! 10 years ago the Internet, not in it's infancy, but was kind of really just beginning to walk. It was an infant. And real estate agents back in the day, we were the gatekeepers of information. Clients would call us up and say "hey Pete, what new houses have come on the market in the Hollywood Hills?" Because we didn't have Redfin, we didn't have Zillow, we didn't have realtor.com, we didn't have all of these outlets that are on the Internet now. So the photographs didn't really matter as much. That psyche is still sticking around in real estate today. Here is my thought on it. You absolutely MUST MUST MUST have professional photographs taken in a house that is cleaned up and designed preferably, if the sellers will do that. Why is this? It's because we now live in one hundred and sixty character mentality. Most buyers are under the age of 40, so they have grown up on Twitter, right. So they're used to doing this - nope, nope, nope, nope, nope. Let's go see that one on Sunday. No, no, no. Let's go see that one on Sunday. No no no. You might have a gorgeous, stunning house but if you photographs are crapola, they're not going to stop on it and they're going to bypass you. It's mathematics. The more eyes stop on your photographs and say let's see that on Sunday. The more feet cross the threshold. The more buyers like the property. The higher the price goes. So if you don't have professional photography done just spring for it. It's somewhere between two and four hundred bucks generally. And it's a tax deduction. You are not doing your sellers the service you should be. Every single house should be marketed with professional photography because the game has changed and it is not, you're not doing yourself the best job you can. That's my opinion. I'm sticking to it. Please let us know your thoughts on photography what do you do in the comments section below. We'd love to hear from you and thank you for all your comments on other subjects. But until next time this is Pete Lorimer from Beverly Hills, signing out." Are you confused about who owns the licenses of the photographs that you've just paid for? Or, do you know exactly what you can and can't do with those photographs? 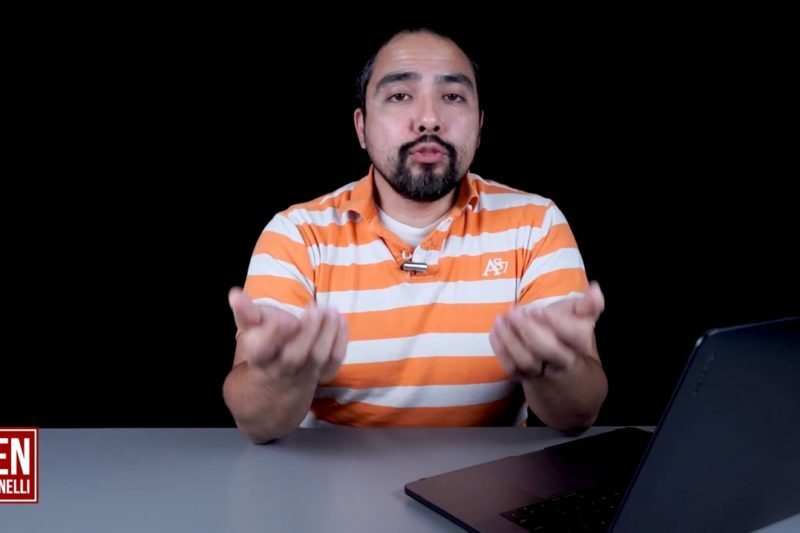 Watch this great video by experienced real estate photographer, Jordan Powers, who explains photography licensing in layman's terms. ﻿ Video Transcript: "Today I want to talk about the most exciting subject in all of photography - licensing! I've studied photography since 2005 when I first started out as a professional photographer and I have a pretty solid understanding of how licensing works. And I thought you all might be interested in hearing this information. Full disclosure I'm not an attorney. This isn't legal advice. This is really just a very paraphrased explanation of how I've come to understand it over the years and U.S. copyright law is pretty complicated. But, as it relates to photography what it says is that basically states that somebody who takes a photo that person is the exclusive owner of that photo immediately. They own the copyright, they have the right to reproduce and is distribute that photograph however they want and they can display it however they want as well. Now to avoid copyright infringement the way you would allow people to use your photos for commercial purposes such as a real estate listing is through licensing. Now this all gets pretty complicated and I'm going to start off by using an analogy like music. It translates pretty well. So now when you purchase a song on iTunes for 99 cents you're not buying that song. You don't own the song, you're buying a license to download and use that song for personal use. When I make a video for real estate I have to license that song each time and there is going to be a fee associated with that each time that I pay for it. If you want to use an extreme example that everyone is familiar with. If you're a car company and you want to use 30 seconds of that song 'Like a Rock' to sell your trucks, you have to license that 30 seconds of that song for that specific use and at that point you're talking hundreds of thousands of dollars in licensing fees. Basically the same principles apply to talk about photography. If you hire a photographer to photograph your family for example you're gonna pay a relatively low fee like 100 to 500 dollars depending where you're at. Just to be able to hang those photos in your home or share them on social media but you wouldn't be able take those photos and sell them to a company like Starbucks for example for an ad campaign. They'd actually need to license those photos from the photographer and of course the photographer would have to get your written consent. But legally the photographer owns a copyright not the family. When it comes to real estate photography it's very similar and it really all boils down to the amount of images and the use or distribution and ultimately the value of those images or the potential return on investment of those images. Now on the higher end you have commercial marketing campaigns for larger brands where the images are going to be used for magazines large print, etc. Typically those shoots are thousands to tens of thousands of dollars depending on the photographer and the distribution in most cases you're looking at tens or hundreds of thousands, if not millions for the return on investment of those images. Which is why there's a higher rate for photographers and their shoot being their licensing. Now if we go down a notch to say a residential designer or a builder or an architect the licensing fees associated with that are often determined by the amount of images and their use. Typically only a handful of images might be needed. And it's going to be for social media, web site and possibly some print ads. Most designers are national, so you're likely not going to be dealing with a national campaign, meaning that the distribution and the eyeballs on that are going to be very limited. And the licensing tends to be on a per image basis, plus the shoot. Now an average designed shoot can range anywhere from a few hundred to a few thousand dollars depending on all the variables. Now with these you can expect a long term return on investment of thousands if not tens of thousands from new clientele. Now we have real estate listings. Now these are a very limited use. They're very limited distribution and there's a very limited amount of time spent on location and editing for the photographer. So for real estate you're not...the photographers...the photos aren't selling the realtor or a service, they're selling a home and typically the listing agreement only lasts for about six months to a year and then the images really aren't used again. This is why you can hire a photographer for just a couple hundred dollars you get 25 images on average for a real estate listing. With professional images you're often going to see thousands of dollars as a return on your investment because of your commissions. Now remember what we're talking about licensing here, you're not...I just want to remind you that you're not paying for the photos themselves you're paying for the license. Meaning you wouldn't own the photos you really can't do what you want with them. You're licensing the use of the images for the sale of that property. The images can be given to the builder, a designer, property management company. They can't be sold to another agent to be used if you're listening expires. All of those things would legally be considered copyright infringement and those images would actually need to be re-licensed through your photographer and there's typically a cost associated with that. It's really a standard across the industry and the main reason is because if you're using a professional photographer's work to potentially earn thousands of dollars, that photographer should be compensated for that. I hope this helped to shed just a little bit of light on this subject. If you weren't already familiar with it. This isn't something we talk about often, if ever. And I just wanted to be sure to cover this topic as best I could and a short amount of time. Please let me know if you have any questions on this topic. I'll be happy to answer them. But in the meantime thanks so much for watching. We'll see you next week with a brand new episode." You can check out some of Jordan's real estate photography work over at https://jordanpowersphotography.comYou may think that all real estate photographers are pretty much the same, but that is definitely not the case. Not only are you likely to see differences in the quality of the images that you receive, but also in the value that they offer. At the end of the day, real estate photographers are running a business, and to stay in business they need to make a profit and to do that they need repeat customers. Instead of cutting their profits down to paper-thin margins, a lot of photographers will choose to add extra value in the packages that they offer. So you as a real estate agent may be able to use this to your advantage to help you win more clients. Look for services that may be on offer to compliment the photographs that you've just paid for. Ask your photographer if they offer aerial photography and videography, maybe they'll offer you video teasers or 3D virtual tours. Another service you will find that some photographers offer single-property websites. All of these things will add to your portfolio and separate you from your competition. 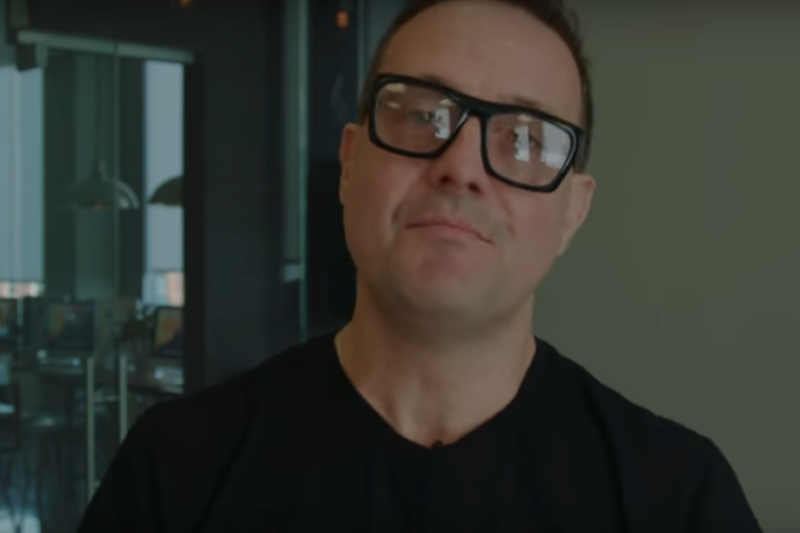 Video Transcript: "So if you're a real estate agent and you're looking for a real estate photographer, or if you're a real estate photographer wanting to know what you need to focus on or what's important. Watch this video and you'll find out. Now if you're a real estate agent one of the things that you need to look for when hiring a real estate photographer is price. 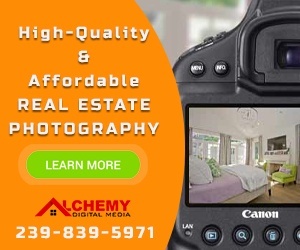 Now, it might be attractive to see a price at super low, let's say, a real estate photographer is offering five photo shoots in a month for 250 bucks. Now that might seem like a really good deal. And from your end it is a really good deal. Five photo shoots for 250 bucks a month. That's a steal! Now, you have to look at it this way. Is it sustainable for the photographer. Or if you're a photographer watching this, is that a sustainable price. If you're shooting 30 photos in a month that's six times to 250, right? So six times 250. We're looking at fifteen hundred bucks. And that's full time work. That's 30 shoots a month. For fifteen hundred bucks. That's not sustainable in this industry. Now if you're a real estate agent and you do take this photographer up on this deal what you're going to find out is, you know, two months three months down the road or sooner, you're going to find yourself looking for another photographer because either that photographer doesn't provide very good work or they're out of business because it's just way too cheap for them. You also have to look at it in this way. You're a real estate agent you're asking your clients to pay 6 percent, 3 percent for the sale, 3 percent for the buy. That's a lot of money. And if you go cheap on that what does that tell your client. That you're basically not holding your own value. You're requesting them to pay a premium price to sell their home. But yet you won't pay a premium price for the photos. Granted in the area that you're in homes might be flying off the shelf, which is great. You know that's good business for you. But at the same time you have to look at those photos as being a portfolio during downtime. Now during the downtime, when homes aren't selling as fast, what are you going to show to your clients that gives you the competitive edge against the other agents? And if it's not your photos then what is it? Now the photo package I offer, the real estate marketing package includes advance HDR images, aerial images, and also a slideshow video with licensed music. Now with these images and with the video you can build your portfolio so that way, during downtime, you have something to show your clients. Now if you're a real estate photographer look at your price and look at the value that you're providing. Do they match up? Now if you find yourself working you know late hours in the night and you're charging you know a hundred dollars for the shoot, that does not compensate. You need to look for a price that's sustainable. That will help support you through this profession. And that brings me to my next point the portfolio. Me, personally, I don't build a portfolio of clients that I've serviced. I build basically credibility through the videos I deliver, showcasing some examples of the homes that I've shot, but I would never promote a video, or I'll never promote a shooting, or a listing, saying "hey, this belongs to this real estate agent". Simply because I don't want real estate agents to see who I'm working with. Another factor you want to look at when hiring a real estate photographers the turnaround time. How soon can they get to your shoot, because that's important. And how soon can they turn around those photos or videos in order for you to list your home in a timely manner. You need to ask these questions up front. So for example in my business I do a 24 hour turnaround time on the photos in a 48 hour turnaround time on the videos. Now this varies depending on the workload. But generally I can promise a 24 hour turnaround time. Now if you're looking at a real estate photographer you need to ask them if their license or insured. Now if they don't have insurance then if their tripod were to knock over a vase, or were to knock over anything and break it, or were to add dents to the walls, or do any damage to the property you need to ensure that the photographer is insured to cover those damages. Also if they offer aerial photography or videographer and their package you need to ask them and you have the right to ask them if they're a licensed drone pilot. Now the reason why is if they're not licensed drone pilot and they're flying the drone for commercial use, basically to make money or to help you make money, they need to be licensed no questions asked. Now if they're not licensed then that is considered a federal offense according to the FAA. Now for my drone photography and videographer every location I go to, I pay for an on demand license to Verifly. Now along with licensing, you want to look at the fine print and ask the photographer how you're able to use your photos, because sometimes depending on the usage you do have to pay extra or you do have to pay a monthly or annual fee to use the photos. Now the photos can be used on MLS. That's expected! But can they be used on social media? Can they be using your web site? Can they be used on video? These are the questions that you need to ask a real estate photographer because there might be some licensing restrictions there. Now for example with mine I give the real estate agent free liberty to use the photos however long they want. However they want wherever they want, so long I can use it for my promotional use. That's a value I can provide and that is in the favor of the real estate agent because then they don't have to worry about the monthly cost or copyright restrictions. And this is kind of the value I bring in relationship building is whatever the real estate agent needs, we can communicate that back and forth and I can roll things into the price or let them know how much extra time that's going to that's going to take for me to build something else. Such as another video, a social media post, a flyer or whatever it may be. These things are negotiable because this is a local business and I want to help the local agents. Now if you're a real estate photographer look at your other skill sets that you have. If it's not just photography. What if it's design, what if it's animation, what if it's motion graphics or video? What other value can provide in your price that can kind of be in a way for you to over-deliver to your clients. These are things that I'll look at and I also question real estate agents on what they're needing or wish they had. So look at your skill sets and see what you can offer to the real estate agents in your area and real estate agents please don't go cheap with your photographers because you want a long lasting relationship. You want high quality photos and you also want to provide the best service to your clients that that you can provide. "How can you make yourself stand apart as a real estate agent when it comes to winning new listings? Is it enough that you have an award winning smile and a trusting personality? Well those traits will certainly help, but to stand apart you have to offer something different...something your prospective client sees as being an added value. 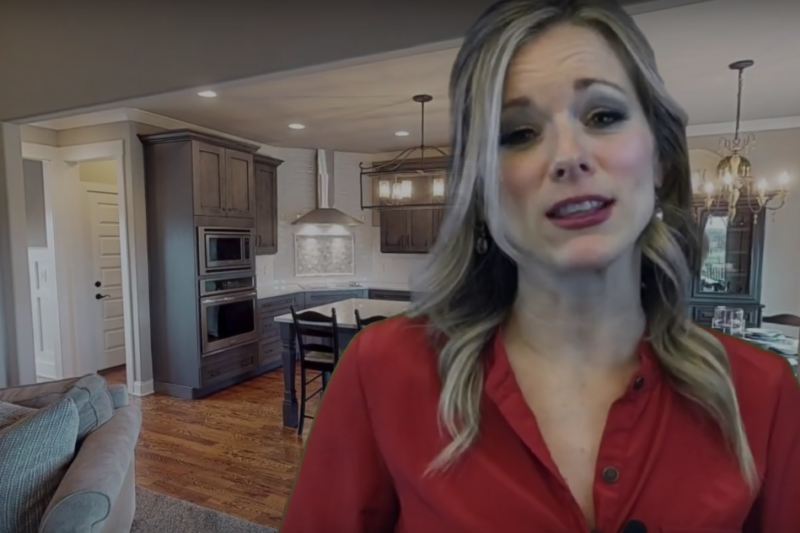 In the video below, Caitlin Davis of Weichert Realtors in Nashville, TN, discusses how the Matterport 3D camera can help your listings standout and win you more listings. 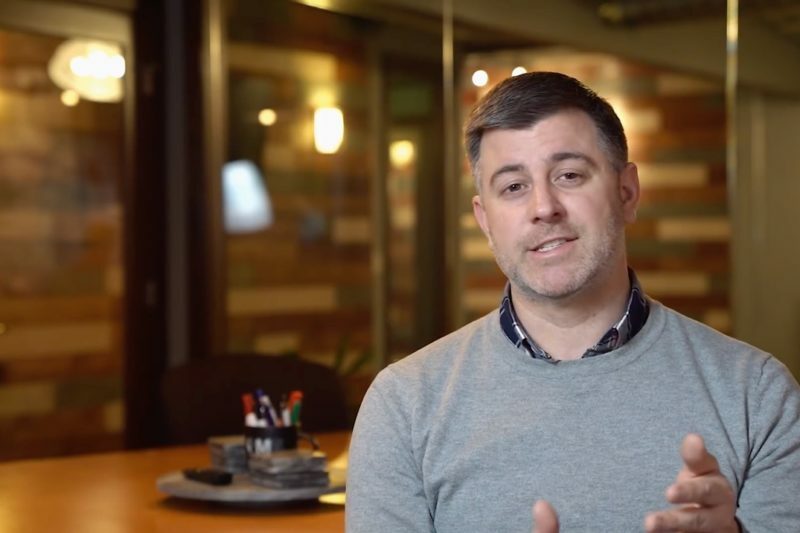 Video Transcript: "Instagram verse real life, we all gravitate towards those beautifully posed photos, and the same thing goes for buyers when they're looking at homes online. Hi, I'm Caitlin Davis, with Weichert Realtors, The Andrews Group. Like I've mentioned before, 99% of buyers are starting their home search online, so your photos are gonna be a buyer's first impression of your home, so it better be a good one. And remember what your momma said, "You don't get a second chance to make a first impression." Quality photos are gonna help you sell quickly for top dollar. According to the Center of Realtor Development, homes with high quality photos sell 32% faster. And while quality photos are great and necessary, I frequently hear buyers say that they wish that they could actually see the layout of the home online. Well, their wish is my command. Enter the fabulous Matterport Camera. This 3D camera not only takes incredible photos, but it also creates an immersive experience, allowing buyers to view the layout of your home with the 3D dollhouse view while also allowing them the ability to virtually tour your home before they ever step foot inside. And did you know that according to the National Association of Realtors, 67% of buyers actually walk through a home that they toured online. Think about the power of the Matterport. It's going to make you stand apart from the competition. And the Matterport is not widely used in Nashville, but it is a part of the services that I offer all my clients. If you're interested in learning more, then you can head to my website for a demo or you can give me a call. If this video was helpful, then be sure to like, comment, and share. I'm Caitlin Davis, and I'm making buying and selling as easy as three clicks of the heels because after all, there's no place like home." 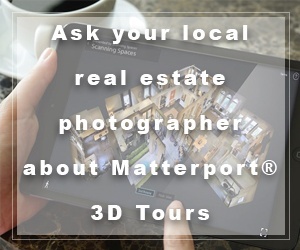 For more information on the Matterport 3D camera and how it can help your business contact your local real estate photographer.